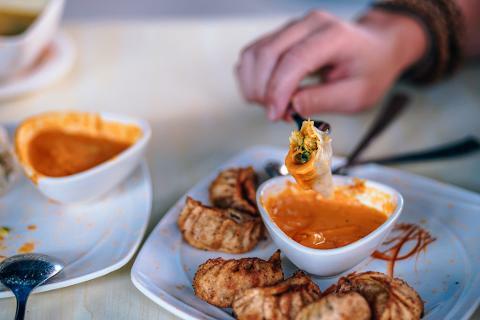 The popularity of Asian finger food and bowl food is trending in private parties and corporate events. These exquisite bites look amazing and taste delicious. But matching Asian style food with your favourite glass of bubbly can be a challenge. Join us to learn how to make your favourite Asian finger food and canapés from Otao the most successful recreational cooking school in Melbourne along with top list award winning blog on champagne and sparkling wine - The Bubbles Review. During our cooking classes, our Otao chef will take you step by step through different finger food types, recipes and top tips you need to gain confidence in the kitchen and wow your guests at any finger food party. Natalie from The Bubbles Review will take you through a range of sparkling wines to taste and match with our food. Then, everyone cooks around the Otao long hand-made spotted gum kitchen bench before tasting our creations for a fun bubbly social experience. •	Cook and plate up canapé and enjoy with a glass of bubbles! The menu is designed for everyone to eat and share everyone else food so please let us know your dietary requirements. "I believe that cooking, eating and sharing should be an experience, not just a meal. 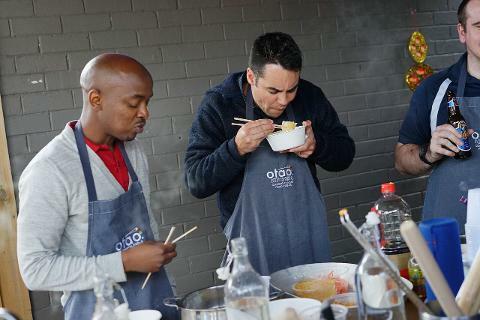 We created OTAO Kitchen as an extension of my passion for food and to share this passion with others."